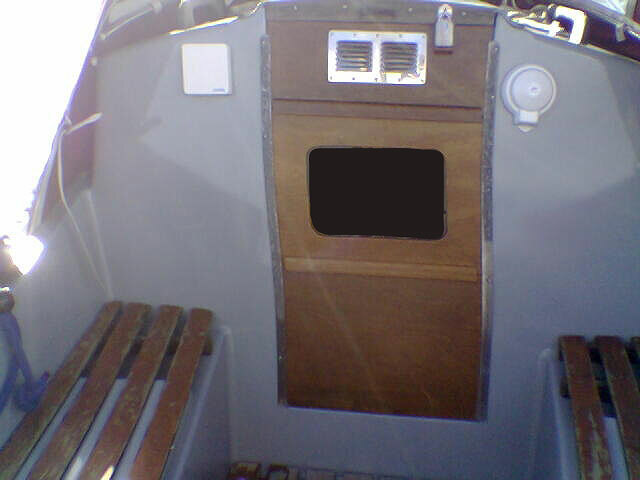 The original teak cockpit trims were damaged and worn. 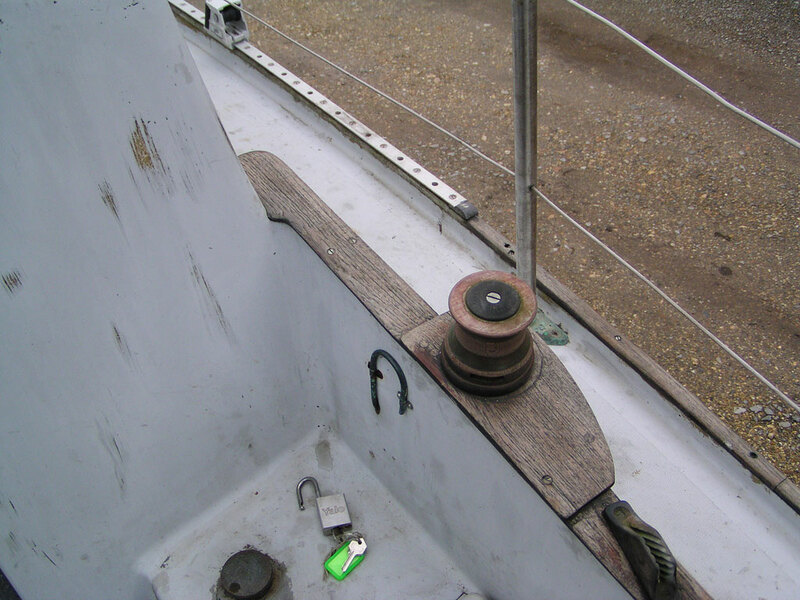 The gelcoat around the cockpit was also in a poor state with areas of grp laminate showing through. 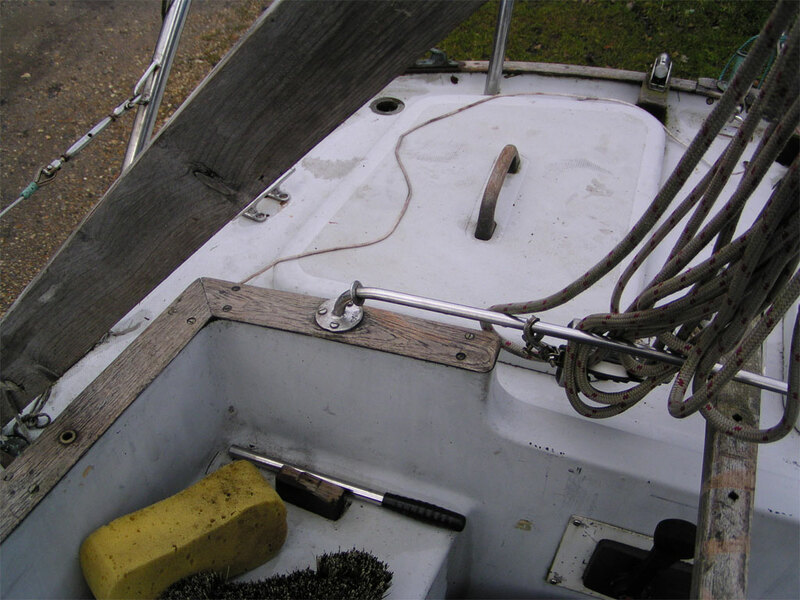 The wood trims were removed prior to the deck respray. 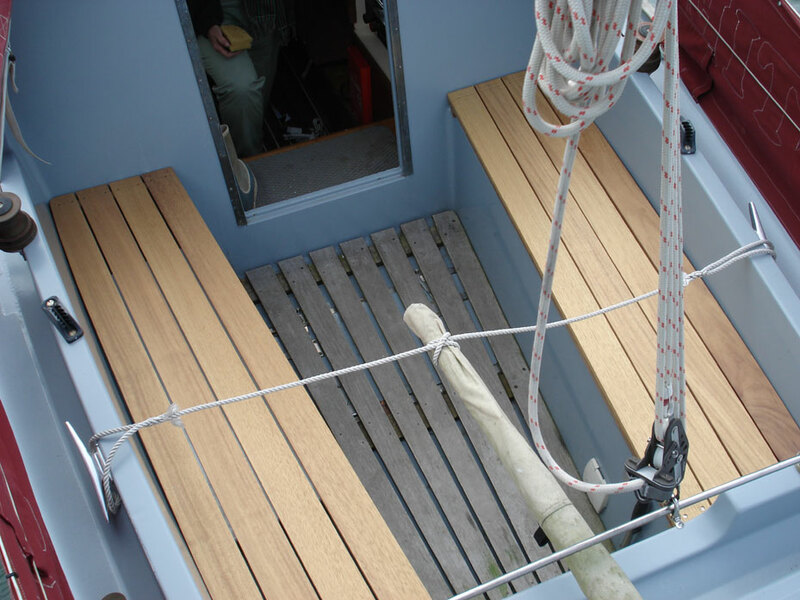 The teak trims have yet to be renewed. 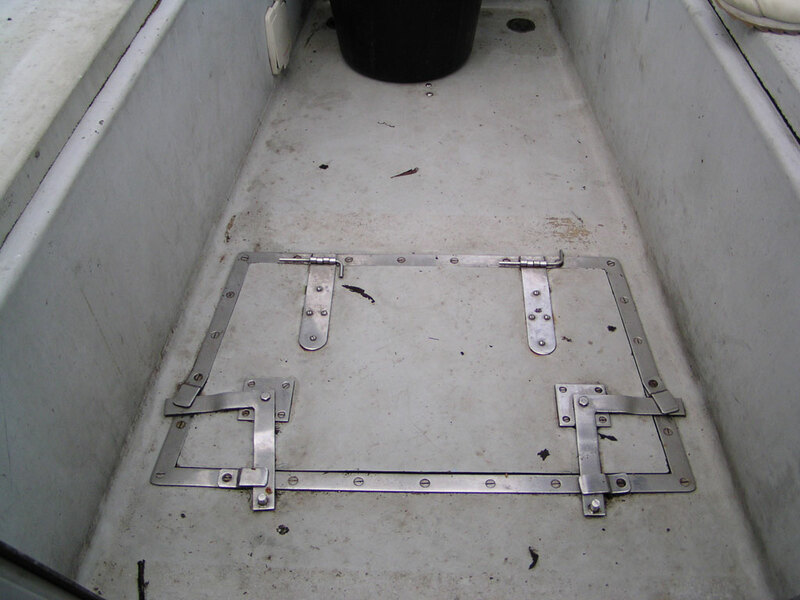 In order to mount the winches meanwhile, a temporary winch bracket was fabricated out of 50mm stainless steel angle. 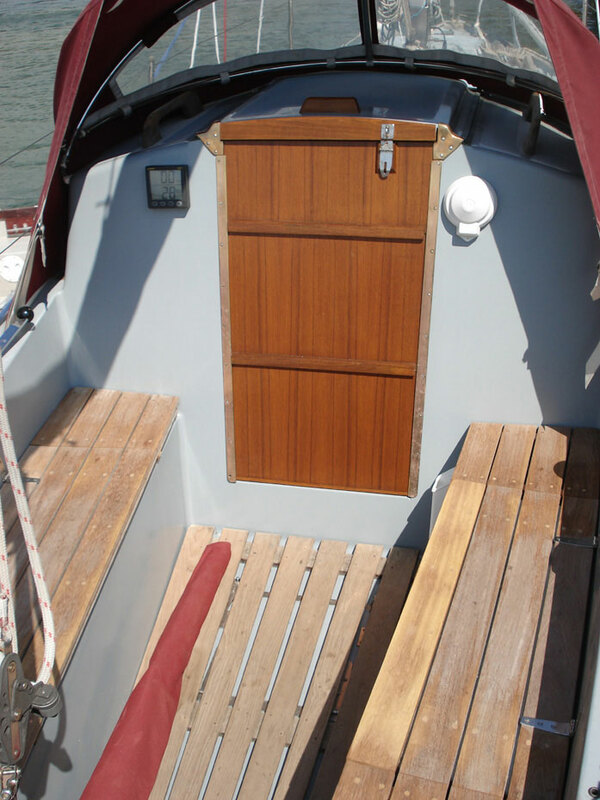 The original teak pod fairings will be restored when the coaming trims are replaced. 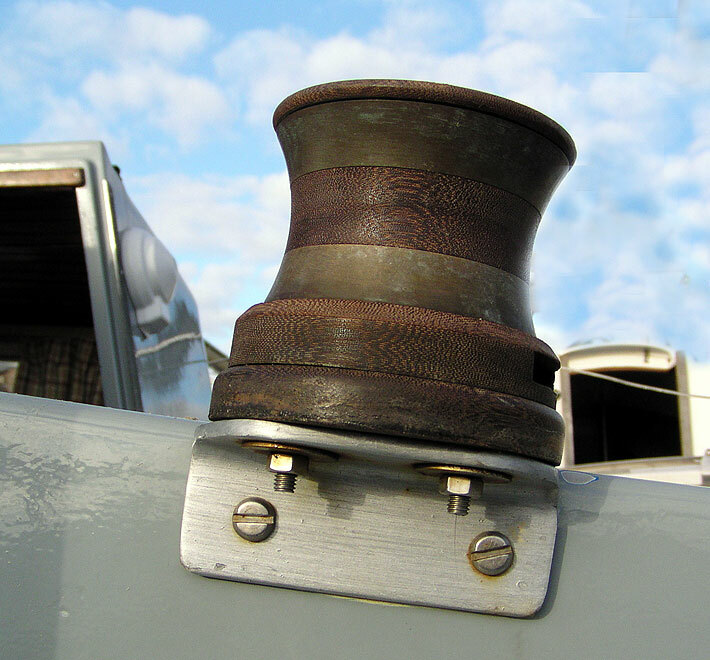 The brackets are not faultless in practice. 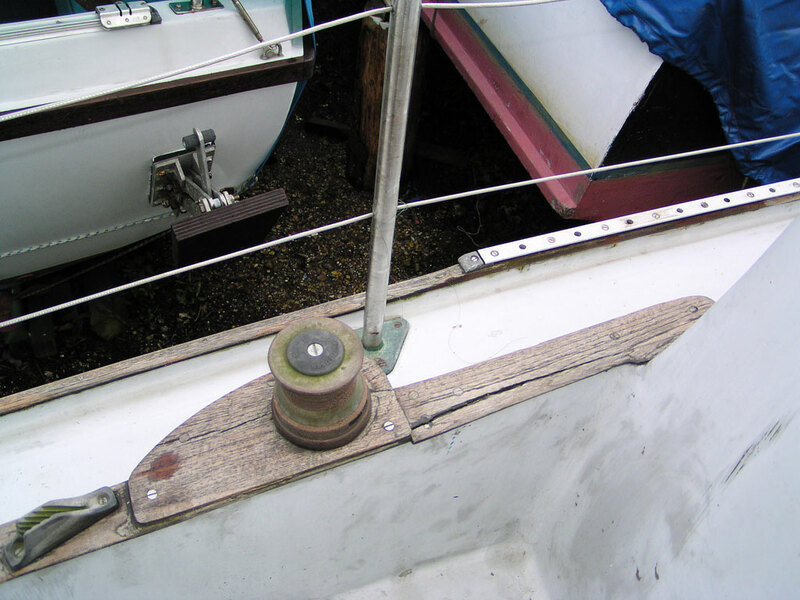 The loose turn of the idle genoa sheet on the windward winch can slip down around the bracket and jam up when going about. 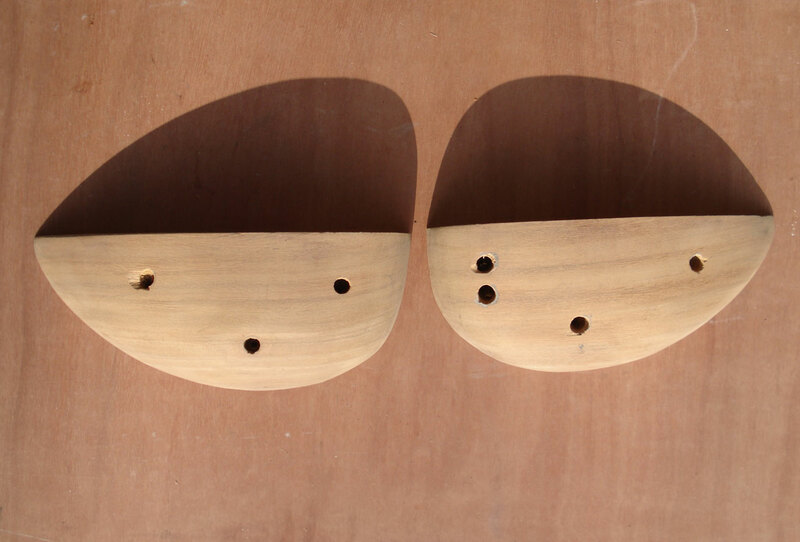 The teak tear-shaped pods that were removed with the damaged coamings will be refurbished and replaced (possibly with a rebate to allow the stainless steel brackets to remain hidden underneath). 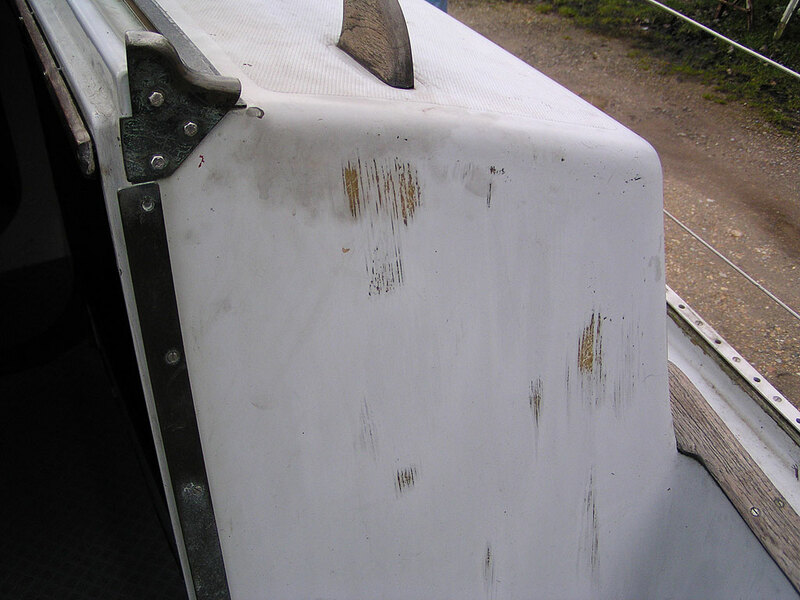 The sheet snagging shows these wooden fairings serve an important function. 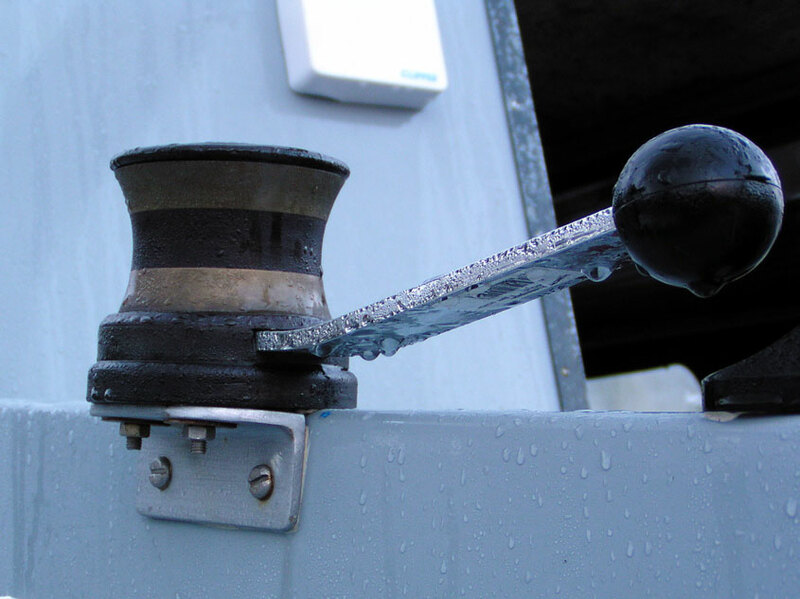 There were no handles for the Tuph sheet winches but we managed to source some from Barton Marine. 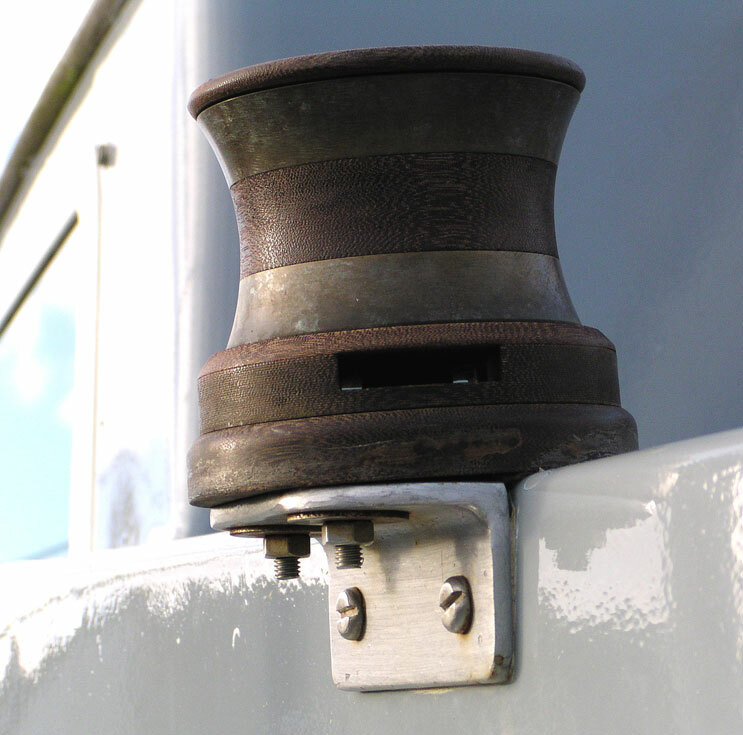 The handle for their 602 winch (Part No 21 000) seems to fit. 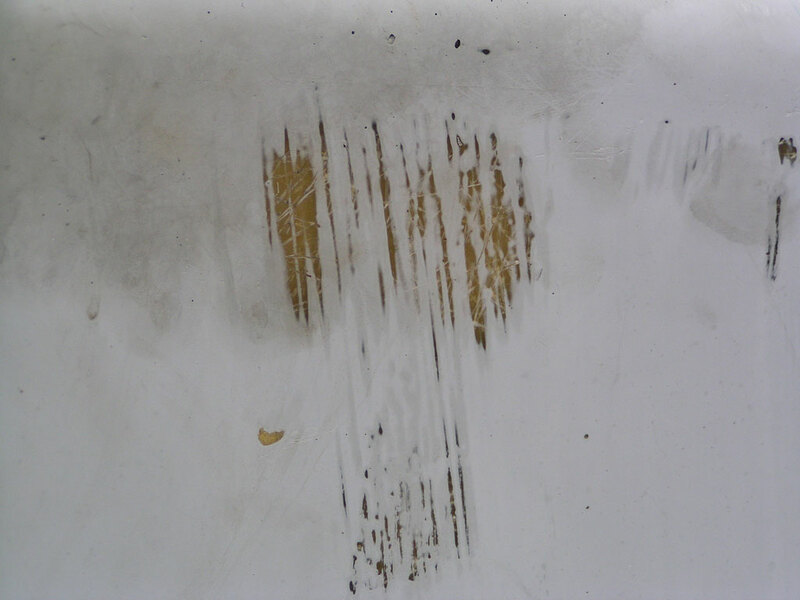 The cockpit floor hatch leaks badly, despite its extraordinary complexity. It is currently sealed up with mastic awaiting replacement with something simpler that works.